Bruno Balvanera is the Managing Director of Central Asia at the European Bank for Reconstruction and Development (EBRD) based in Kazakhstan from where he leads a regional team of more than 170 staff in 6 countries (Kazakhstan, the Kyrgyz Republic, Mongolia, Tajikistan, Turkmenistan, Uzbekistan) with 7 main resident offices and an additional 7 satellite offices with the specific objective of supporting the development of SMEs in the region. Bruno has more than 30 years’ experience in development banking industry. A national of Mexico, he started his career in Mexico City where he worked for the 2 leading development banks, Nafin and Bancomext particularly on structuring project finance deals in Latin America in a wide range of sector including tourism, telecoms, infrastructure and oil & gas. 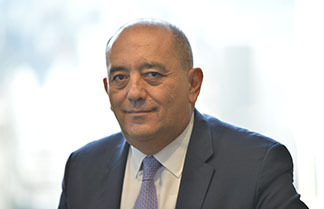 Bruno joined the EBRD in 1996 as a principal syndications officer. He was then promoted to the new position of the Head of Business Development, a unit that he created to leverage EBRD knowledge of the region to attract foreign direct investors. In 2006 he was appointed as the Head of the St Petersburg office where he significantly contributed to increasing investments in the private sector as well as in the public infrastructure. As of 2008, Bruno led the activities of the EBRD in the regions of Russia opening new offices in Samara, Rostov and Krasnoyarsk while building a strong portfolio of projects financed by the Bank throughout the country. In 2013, Bruno was appointed as the Director for Caucasus, Moldova and Belarus. Under his tenure, the banking activities in the 5 countries under his supervision significantly increased as well as the depth and breadth of the support of EBRD to the transformation of the countries via focused policy dialogue engagements. Bruno majored in Industrial Engineering at the Universidad Iberoamericana and later obtained a degree in Finance at the ITAM. Bruno furthermore obtained an MBA degree from University of Chicago Booth and was the president of his student associations both at undergraduate and master’s degrees levels. Bruno has served on the Board of the Caribbean Development Bank and of a telecommunication company in Latin America.